Artists: Frido Evers, Robert Roest. 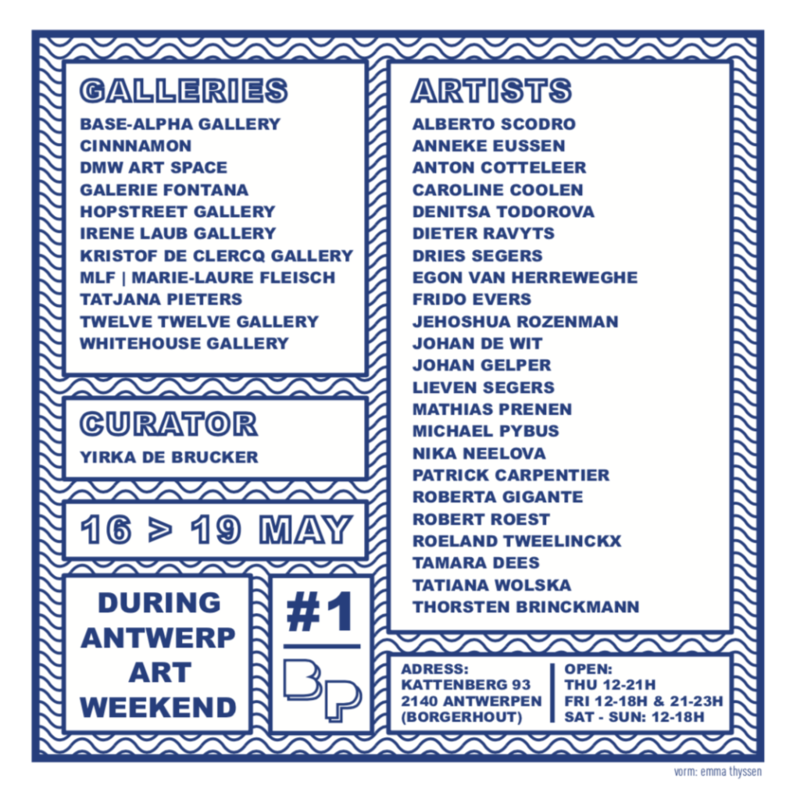 The first edition of Ballroom will be organized during the upcoming Antwerp Art Weekend (16-19 May 2019). Placed within the framework of the larger city-wide project that is Antwerp Art Weekend, Ballroom wants to offer a space for outside galleries to be present through a creative, dynamic and artistic platform, without losing sight of the commercial aspect. Location: Pekfabriek, Kattenberg 93, Antwerp (Borgerhout).